Christophe Bec is a writer and artist. Born in France, he spent the first few months of his life in Morocco due to his parent's work. Attracted to comics from an early age, he began his career by producing fanzines, one of which earned a Best Fanzine nomination at Angoulême Comics Festival. He joined the Comics School of Angoulême the next year. 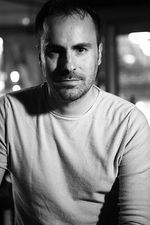 Known for the art behind "Absolute Zero", "Sanctum" and "Prometheus", he is also the author of "Pandemonium", "Shadows of Salamanca" and "Carthago". "Sanctum" earned him nominations for Best Comic Album at both the Cognac Detective Film Festival and the Jules Vernes Film Festival. He also won the Uderzo Prize for his series "Lent".